Hear the police video of Lavall Hall's shooting and Hall's family's reaction to the video. The family of a mentally ill man who was killed by a Miami Gardens police officer in February released the video of the shooting to the media Wednesday at a press conference. The family says police were called on Feb. 15th because Lavall Hall was wielding a straw broom outside his house. They needed help to get him to a mental health hospital. Police ended up killing Hall. 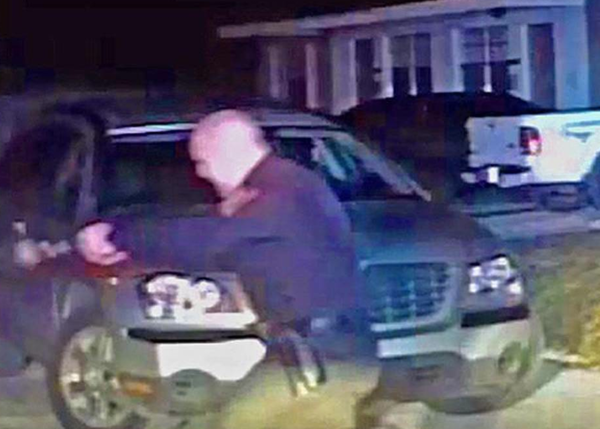 The police dash camera video opens with a police cruiser pulling up to Hall’s home at 4:55 a.m.
His mom, Catherine Daniels, called the police. In the video, it’s still dark out. Streetlights and the patrol cars’ flashing red and blue lights illuminate the streets. An officer asks Daniels if she knows where he can find her son. Parts of the conversation are hard to make out. But Daniels clearly tells the officers not to hurt her son. The police cruiser takes off looking for Hall. At 4:56 a.m., the officer finds him walking along a sidewalk while holding a broom. It appears Hall continues to walk away from the officer. “Every time you go near him he walks away,” the officer says apparently to another officer who responded to the call. At 4:58 a.m., the police car comes to a stop and Lavall Hall can be seen very quickly going by with the straw broom in his hand. The officer gets out of the car. He and and Lavall are now out of view. An officer can be heard yelling for Hall to to take it easy and get back. And then -- for about a minute -- the officers and Hall remain out of view. It’s unclear what’s happening. At 4:59 a.m., officers can be heard yelling commands peppered with expletives at Hall. And seconds later, an officer who has since been identified as Officer Eddo Trimino comes back into view holding his gun. Hall cannot be seen in the video as Trimino fires five shots. The family and their attorney are calling for an independent investigation into Hall’s shooting. Miami Gardens police did not respond to WLRN’s request for comment. Neighbors who say they saw the moments leading up to and after the shooting, say they did not see Hall with a broom. The video itself does not show whether or not Hall had the broom when he was shot. Goldberg says those missing details are why the family is asking for all videos to be released. The family and Goldberg believe the other videos will show Hall was not the aggressor and that police did not have to kill Hall. Daniels, Lavall Hall’s mom, left the room when the video was played. She didn’t say much as she sat through the press conference wiping tears from her eyes and occasionally hugging a family member. 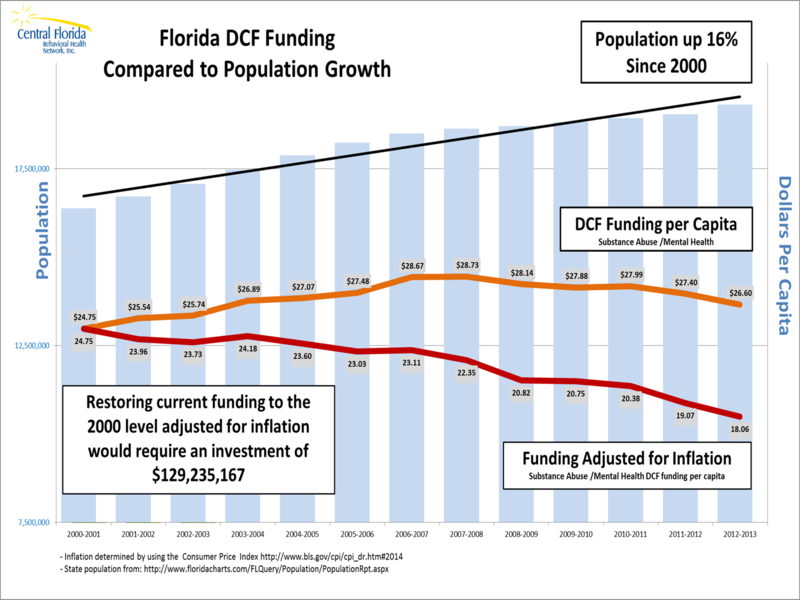 This week on Florida Matters, we'll take a look at just how that's playing out in Florida, along with the push for more funding -- and smarter spending -- for those services. Two doctors offered conflicting testimony today on whether a South Carolina mother who drove her three children into the ocean off Daytona Beach needs to be forcibly confined for mental-health treatment. The numbers, posted daily on the Cook County sheriff’s website, would be alarming at an urgent care clinic, let alone a jail: On a Wednesday, 36 percent of all new arrivals report having a mental illness. On a Friday, it’s 54 percent.